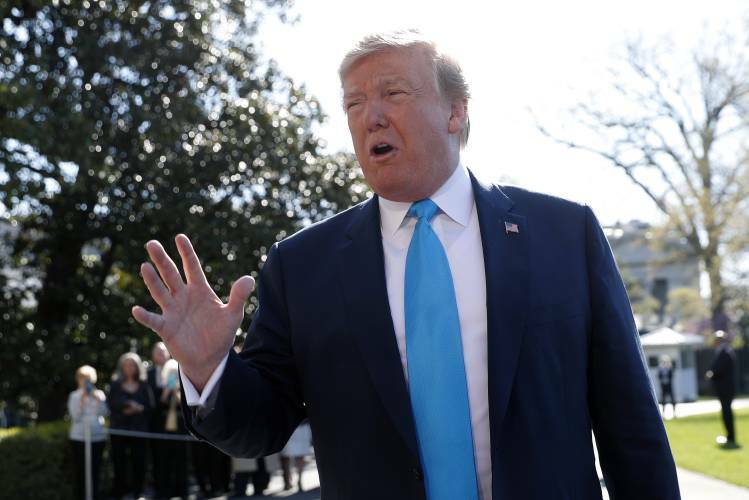 Washington DC, April 10, 2019 – President Donald Trump on Wednesday held steady in his refusal to publicly release his tax returns, despite mounting pressure in Congress that is likely to spur a legal battle for the documents to be disclosed. “I would love to give them, but I’m not going to do it while I’m under audit. It’s very simple,” Trump told reporters. Last week, the Democratic head of a powerful U.S. House committee asked the IRS for six years of Trump’s personal and business tax returns, a long-awaited request that was expected to lead to a lengthy court battle. On Tuesday, Treasury Secretary Steven Mnuchin said that Treasury Department lawyers had held “informational” discussions with the White House about an expected request for the returns. Democrats say the request to see Trump’s tax documents is grounded in law and is needed, citing Trump’s refusal to disclose his tax records or to recuse himself from his business interests. The latter include golf courses, hotels and other properties which raise questions about the potential for conflicts of interest.